As a celebration of the 10 years of life society of biology of Chile conducted an interview to the current President and the founder of our society. THE SOCIEDAD CHILENA DE EVOLUTION (SOCEVOL) CELEBRATES 10 YEARS OF LIFE: "EVOLUTIONARY BIOLOGY: THE MOTHER OF ALL BATTLES"
Born in the year 1809 in United Kingdom, Charles Darwin is the most famous naturalists. Son of physician and grandson of the famous naturalist and poet, Erasmus Darwin. Since childhood he showed a deep interest in the reading of the works of the German Alexander von Humboldt, which forged its care for natural sciences. This 2016 they met 207 years since his birth and 157 anniversary of the publication of his famous book, that marked - by the way - a before and an after in the development of evolutionary thinking. His theory is - until today - essential for understanding the origin and evolution of living beings, that explains how to descend from a million years of evolutionary scale. Many of our current behaviors might respond to interactions that eventually we conduct in the past. In this sense, the world of evolutionism, It owes much to who is one of its most important figures. The same as in his time, It put into question the current creationist, Stressing the improbability that we have born under the eaves of a superior being, and were distinguished from those who thought similar, not only being true to this idea - that evolution is the mother of the life-, but it also, insisting on living beings we develop a permanent evolutive activity and under that same line advocated a concept introduced by the same, "Natural selection". In our country various scientists develop investigation linked about evolutionary aspects, and in that way, are responsible for be able to decipher historical codes that the passing of the centuries has been dedicated to bury. Researchers are trying to reconfigure the past life of the species that preceded us to thus give answers to many questions. The Sociedad Chilena de evolution (SOCEVOL, www.socevol.cl), It is an example of the scientific work on this issue, since its foundation, in the year 2006, It has been the Mission of facilitating the understanding of evolutionary biology in different spheres of the population. Explaining how operates the evolution and how it influences the daily life of human beings. Commemorating the 10 the SOCEVOL years, the biology society of Chile spoke with Dr. Eduardo Palma, first President of the society, and Dr. Christian Ibañez, who presides over it now. 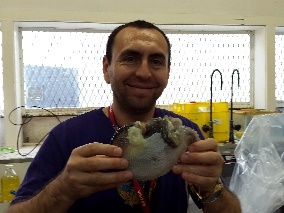 Dr. Eduardo Palma is Doctor, University of New Mexico, USA (1994); has a post-doctoral (University of Chile) majoring in molecular systematics, Phylogeography, Biogeography and Mammalogy. He currently teaches undergraduate and postgraduate courses at the Faculty of Sciences biological of the Pontifical University Catholic of Chile. 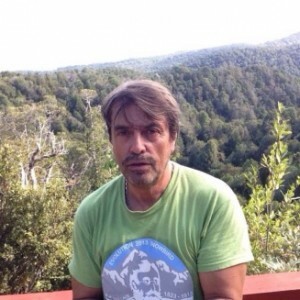 Some of his works include history of Mammalogy in Chile (2014) and publications that relate the marsupial and living fossil, inhabitant of the forests of southern Chile and Argentina, Dromiciops gliroides (Monito del monte) with the Australian marsupials. Dr. Christian Ibáñez is a marine biologist, Universidad Católica de la Santísima Concepción (2004); Doctor of Sciences, Mention in ecology and evolutionary biology, University of Chile (2010). Fondecyt postdoctoral researcher, University of Chile (2010-2012). Professional science currently offers undergraduate and postgraduate courses in the Department of ecology and biodiversity of the Faculty of ecology and natural resources, Universidad Andrés Bello. It is the researcher responsible for the project Fondecyt Regular: "Evolutionary biogeography of southeastern Pacific polyplacophorans". 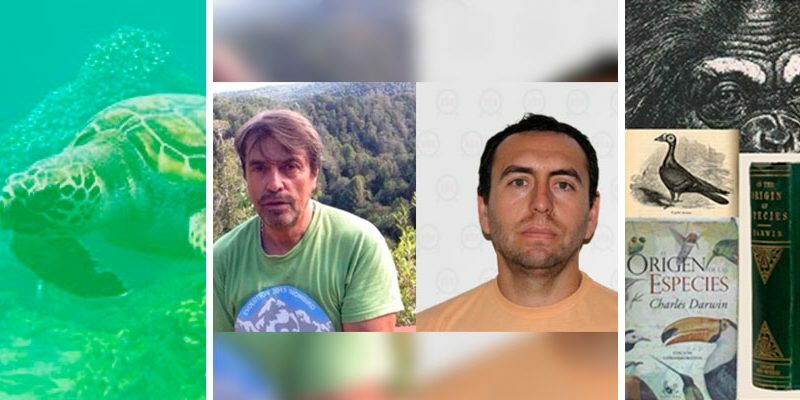 Then the interview that the society of biology of Chile made the doctors: Christian Ibañez and Eduardo Palma. What is the mission that the Chilean society of evolution keeps the scientific and civic work of our country? and do arise this society? Dr. Ibanez: Our goals are three, and during these ten years have not changed. First of all, We want to facilitate the understanding of evolutionary biology in different areas of Chilean society. It should be noted, This society was created because of the need that existed at the time of a centre which would meet to all those who were working in evolution. On the other hand, We seek to transmit the knowledge linked to evolution and its implications on the life of living beings, students of basic education, media and University, contributing to the training of future professionals informed. Finally, We seek to provide a scientific opinion against issues that are involved in evolutionary aspects. Dr. Palma: The original of the Chilean society of evolution idea emerges around the year 2005 under the context of an annual meeting organized by the society of biology. On the occasion, was held a symposium of phylogeography in which we were able to cross ideas with colleagues and set a meeting within the society of biology to begin with the creation of the SOCEVOL. What is the degree of relevance and implications of evolutionary biology in basic and university training in our country? Dr. Palma: The teaching of evolution is very present in the Chilean scientific careers. In this sense, the University of Chile has a master's degree and doctorate in ecology and evolutionary biology, the same situation (or similar) It recurs in the Austral University of Chile, of conception, Coquimbo and p. Universidad Católica de Chile. By which, that shows you that there is interest, and I see that every day, Since I am in charge of the course of evolution in undergraduate (PUC) and I can confirm there are increasingly more interested in this topic. Dr. Ibanez: In another aspect, I would like to mention that there is a problem in the regular courses of teaching programmes, Since the subject of evolution appears a couple of times in basic education and media, and the contents are primarily referred to human evolution, which is only a chapter in the evolutionary history. That is a problem that is difficult for us as the people who make the programs is not within our society. Dr. Palma: Symposiums on the teaching of evolution in Chile have been, in primary and higher education. We want to return to that aspect and analyze what has happened in the past 10 years in this regard. What is the relevance that the figure of Charles Darwin in aspects of perception and outreach of the evolution? Dr. Ibanez: Charles Darwin is inside of the 5 most famous scientists in the history of the human being, and his book "The origin of species" is one of the works that have most influenced the humanity. Characters continue to Darwin as Isaac Newton, Stephen Jay Gould, Carl Sagan, Richard Dawkins and Stephen Hawking himself. However his figure has transpired because he is the father of this current, under which they have formed great thinkers and researchers. I want to refine at this point, that - fortunately - disseminator scientists of science have always taught about evolution. Dr. Palma: Noteworthy - and around Darwin's idea - that the SOCEVOL the 2007, very close to the commemoration of the 200 years after the birth of the naturalist, that was held the year 2009, along with the anniversary number 150 the publication of his book "The origin of species". In fact our first conferences were commemorating Charles Darwin. In short, I want to express that we emerged at a momentous time for developments around the world. Is Chile a country suitable for the study of evolution? Dr. Palma: Chile is a natural laboratory - due to their geographical characteristics - to study evolution. You have ice fields, desert, Sea and mountains, so its biogeography (Alfred R. Wallace) It's very interesting. On the other hand, the geography and the biota of our country, particularly in the sur-austral area, they were strongly affected by cycles of glaciation which affected the Southern Cone of the planet, process that not only affected the biota, but also marine. Therefore, of course that Chile is a country that offers opportunities to micro studies and macro-evolutivos. Dr. Ibanez: The ocean in our country have different systems of currents, in the fjords less salty water there is thaw product, and in the North by example, It is the Humboldt current system. This makes Chile a great biogeographic model for studying the evolution of marine organisms. How you can apply evolutionary knowledge in the sociological research, linked to the explanation of human behavior? Dr. Ibanez: The evolution of sociality and social groups are organized, It began with the study of eusocial animals, such as ants, termites and bees. Then joined the other toughest groups. Human evolution is a very interesting topic, from the palaeontological point of view and answer how we have evolved to the present day, in which we are able to study our own genes, is a very challenging question. Today, human beings are dependent on the comforts which we have been building, I'm talking about medical and pharmacological aspects that have helped our development. Dr. Palma: The evolution of behavior is one chapter of human evolution. However, You must be careful with the "Social Darwinism", that has been very poorly understood historically, especially through the idea of the "struggle for existence and survival of the fittest". These points are referred to that within all the variation in traits and characteristics that the organisms present, those who had certain attributes for a particular environment would be those who survived. As society and as scientists must take charge and teach correctly the concepts surrounding evolution. Dr. Palma: My line of research is focused on the reconstruction of phylogenies (evolutionary history that deals with the origins and evolutionary relationships of species diversity) and aspects of macro and micro evolution. My study models are terrestrial mammals of Chile and the rest of South America; Additionally, my work includes aspects of phylogeography and biogeography. Within the mammals, We have worked preferably rodents (It is the most diverse group within the mammals), and marsupials, which we have a living fossil in the forests of southern Chile and Argentina. In this research we use also morphological and molecular tools, which give much information, in studies of geographic variation and phylogenies. Dr. Ibanez: I work at levels evolutionary macro and micro. Lately focused on aspects of macro-evolution, especially on how to evolve the reproductive strategies in marine invertebrates. We are also studying the evolutionary biogeography, combined that knowledge with molecular tools and field work. We have been studying the poliplacoforos molluscs, and reproductive aspects, to cephalopods. Finally the doctors make an invitation to the community to celebrate this decade of existence of the Chilean society of evolution, participating in symposiums that it will give in the LIX meeting annual society of biology, that will be made from the 8 to the 10 November at the "Hippocampus Resort & Club", Concon. Dr. Palm and Dr. Ibanez: Under the context of the celebration of the 10 years of the SOCEVOL and our participation in the annual meeting of the society of biology, We do open the invitation to participate in this instance in which we have programmed 2 We look forward to symposia! To be reproduced, please contact to: support@4id.cl o patricio@4id.cl. Quote as source to: Patricio Grunert Alarcón.